RICOH THETA Is Now Compatible With YouTube’s New 360-degree Video Format. 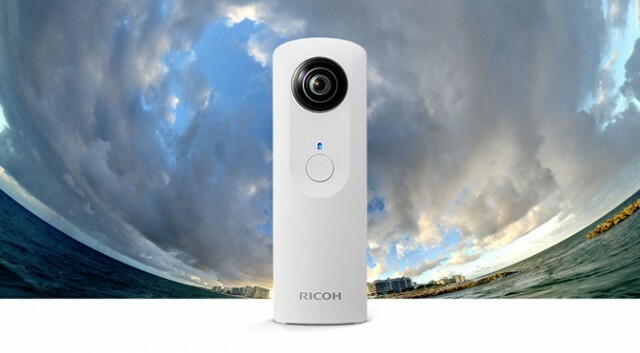 RICOH COMPANY, LTD and RICOH IMAGING COMPANY, LTD are pleased to announce that the official app for the RICOH THETA spherical image camera has been upgraded to be compatible with Google’s 360-degree video format. Users can use the newly released app, RICOH THETA for Windows®/Mac ver. 1.10.0, to share videos with the new 360-degree video feature offered by YouTube. – Spherical video files converted using RICOH THETA for Windows/Mac are compatible with the 360 degree video feature on YouTube. MP4 files converted using RICOH THETA for Windows/Mac (“version 1.10.0” or later) can be uploaded to YouTube, and viewed and scrolled within YouTube’s PC and Android apps.